Did you know that ordering labels or stickers in bulk can be a cost-effective and great option for purchasing a large number of labels? Draw attention to your products and make an impact with our Semi-Gloss labels. They’re our most economical label solution when water and oil resistance isn’t needed. Choose from a large selection of sizes, shapes (oval, rectangle, circle or custom) lamination (Silk, Gloss or No lamination). These Gloss labels are intended for indoor use only. You can easily place them on mason jars, bottles, shopping bags, coffee mugs, packaging containers and so much more. Permanent adhesive allows them to stick to a mixture of surfaces. 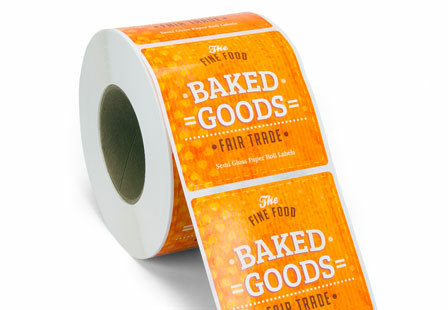 Please note: All square and rectangular roll labels come with 1/8” rounded corners.